Do you want a boring home? However, it happens a lot. Do you know why? People try to decorate everything in one style. They buy the 3-piece matching living room set from the big box store. They purchase the dining room set with its eight matching chairs. You get the idea. While the Parade of Homes can be inspiring, it’s also a place to see “lifeless” design. Newly constructed homes, showing the latest trends, are decorated in one theme. They were finished quickly on a tight budget. They feel artificial. Have you ever noticed that the best homes at these events are occupied by a homeowner who’s allowed the public to walk through? That’s because little details were fleshed out over a longer time period (and most likely with a professional contractor and designer). The homeowners display personal collections. Art is usually original. They’ve also mixed a few styles, and antiques are most likely present. Mixing antiques with modern design is one of the best ways to give your home a soul. You don’t want everything to be vintage, or your home will look like the antique shop down the street. But when the mix is right, magic happens. Today I want to share a bathroom design that is in the works. 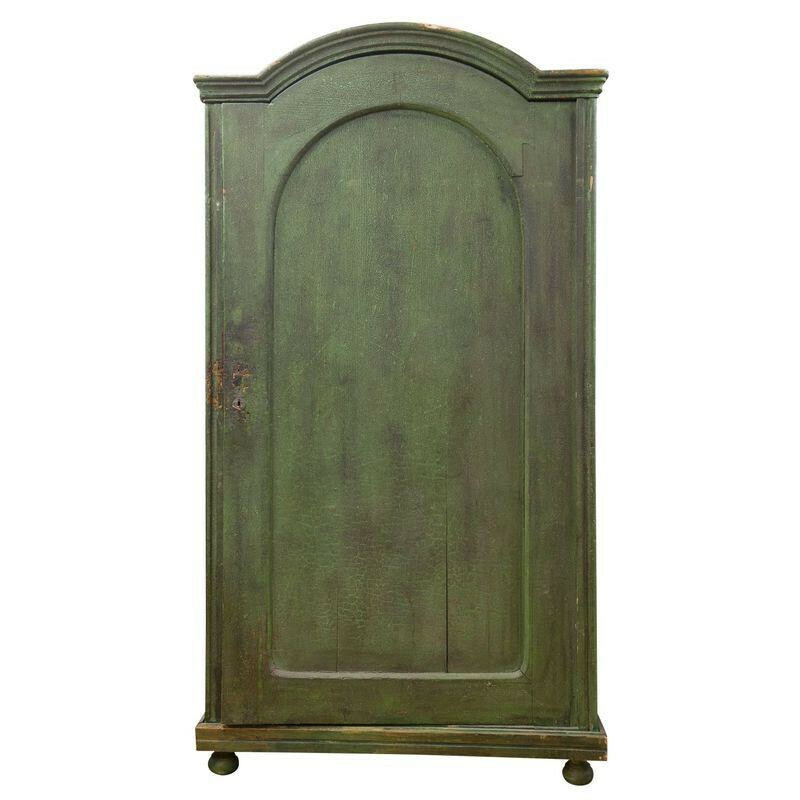 A vintage European cupboard in kelly green inspired the design. I spotted this beauty for some clients about a month ago. I bought the armoire through a third party seller called Chairish. That left us with no information on the story behind the piece. It didn’t matter for the design, so we bought it anyway. 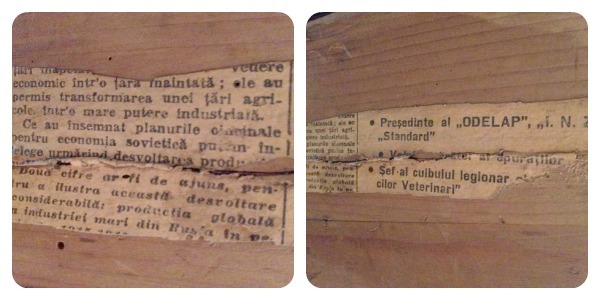 On its arrival day, I was inspecting it and noticed some newspaper remnants were stuck on the inside of the door. I know a little French and could pick out a few words, but I also knew it wasn’t French. I went to my resource of friends. One kindly informed me it was Romanian, but he didn’t know Romanian that well. 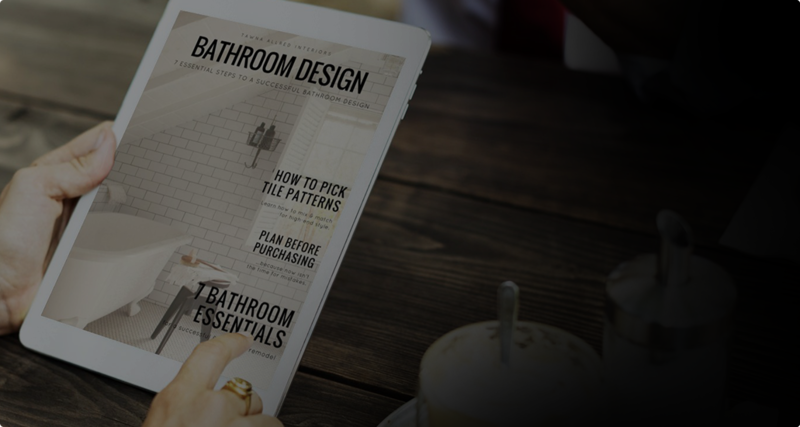 So I went to my trusty design network, and Annie Vincent pointed me in the direction of Lara Neves, the creator of the Overstuffed Life blog. Both she and her husband are fluent in Romanian. countries ??????? an economic view into an advanced country.They have permitted the transformation of an agricultural country into a large industrial power. What the five-year plans mean for the Soviet economy, we can understand following the development of (the?) production?…. (can’t read next line). Two figures (ie numbers) should be enough in order to illustrate this considerable development: global production of the mighty industry from Russia in…. She also said she googled ODELAP, and found a document in Romanian that says it was an organization that monitored the production and collection of milk shortly after it was industrialized in the Romanain provinces of Banat and Transylvania. The dates were not precise, but as far as she could tell this industrialization happened in the 1940s and 50s. I was so grateful she went through the effort to hunt for that document in Romanian! I too searched, but found nothing. Of course, I couldn’t have read it if I had. Obviously, the Soviet Union is not dissolved yet in the article, which dates the article between 1922-1991. Because of the mention of ODELAP, it is probably sometime in the 1950s. But that’s all I can tell. While it may not be much of a history, it makes the armoire even more special. Of course, it also raises more questions. Why would someone line an armoire with newspaper? How did it get such a lovely kelly green while still having a great patina? I would love to meet the woodworker who crafted this piece and know why it was originally made. While those questions will never be answered, I’m delighted it found its way into a modern home and given another life. 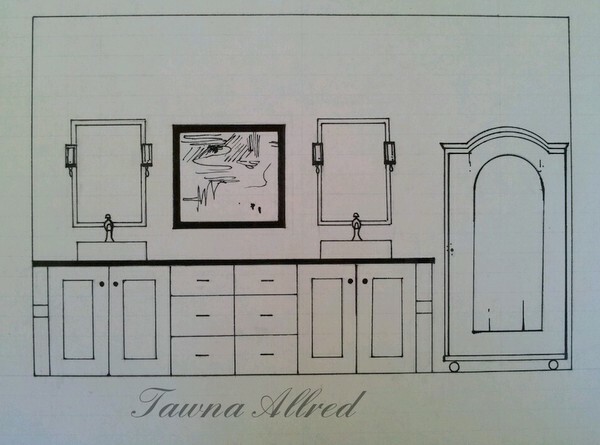 Had we simply built another cabinet that was new like the vanity, the house wouldn’t have had the same character. I must be off for the day! Thank you again, Lara and everyone else, who helped give this armoire a story! If you need help giving your home a soul, contact me about my design services. One of my fall spots has already been filled, so don’t delay if you need professional design services. I know it’s crazy, but if you want custom furnishings or a room design by Christmas, we must have a plan and orders in by October 1st! Any custom paintings must be commissioned by the end of October. Have a beautiful day! That is so interesting! I love that Lara was kind enough to give you all of that information. What a great story! I can’t wait to see the bathroom when it is finished!